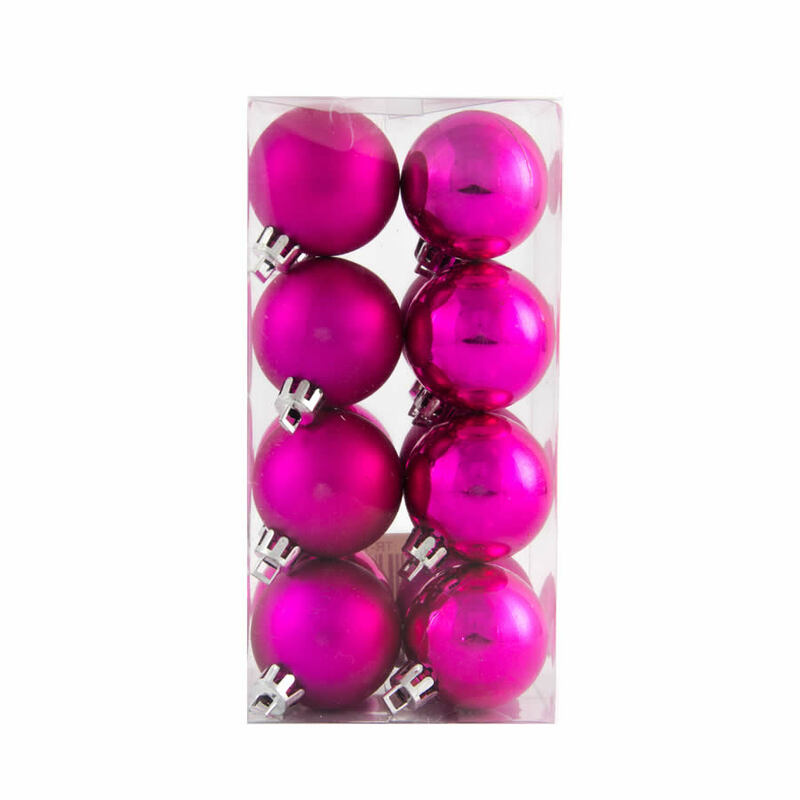 Give your tree, wreath, or home a truly distinctive look with these gorgeous 40mm Magenta Baubles. 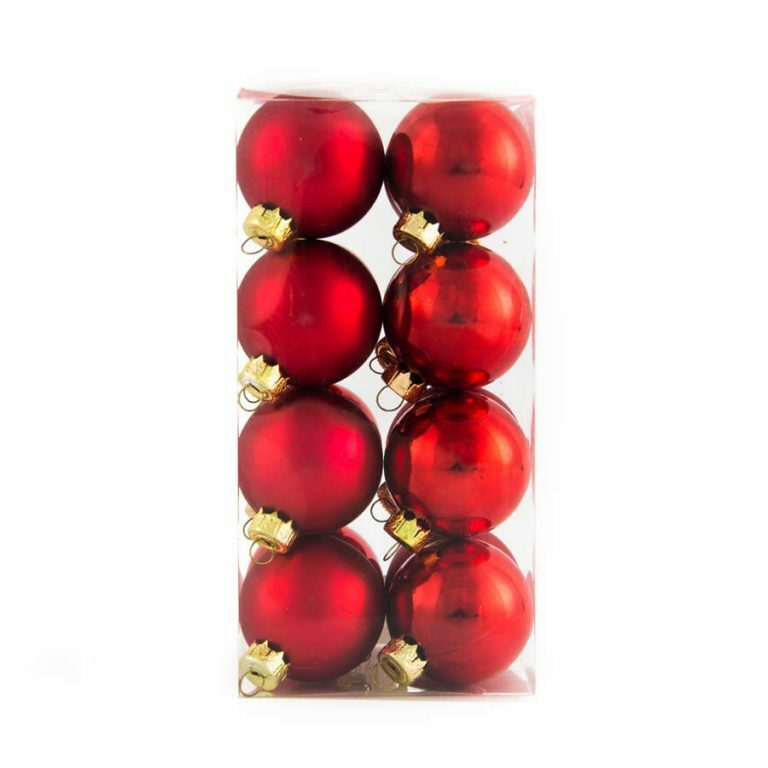 Each clear plastic package contains sixteen quality baubles that will bring a unique jolt of colour and flair to your holiday themes this season. 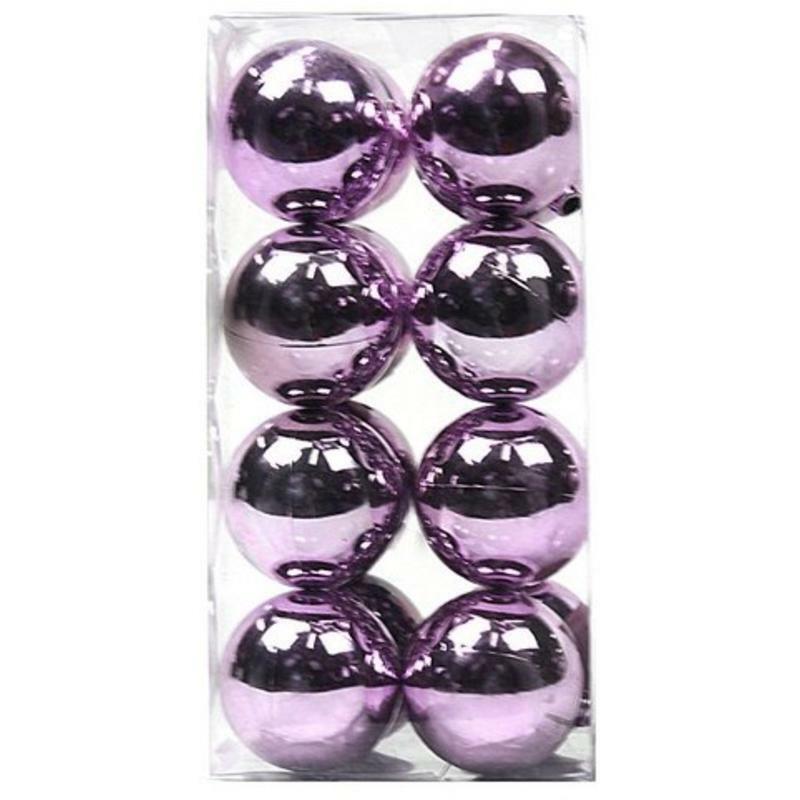 In this set of 16 shatterproof ornaments, there are eight high-shine magenta baubles and eight soft, hazy matte-style baubles. This allows you to mix, match, and coordinate your displays to have a one-of-a-kind look and your own personal flavour. 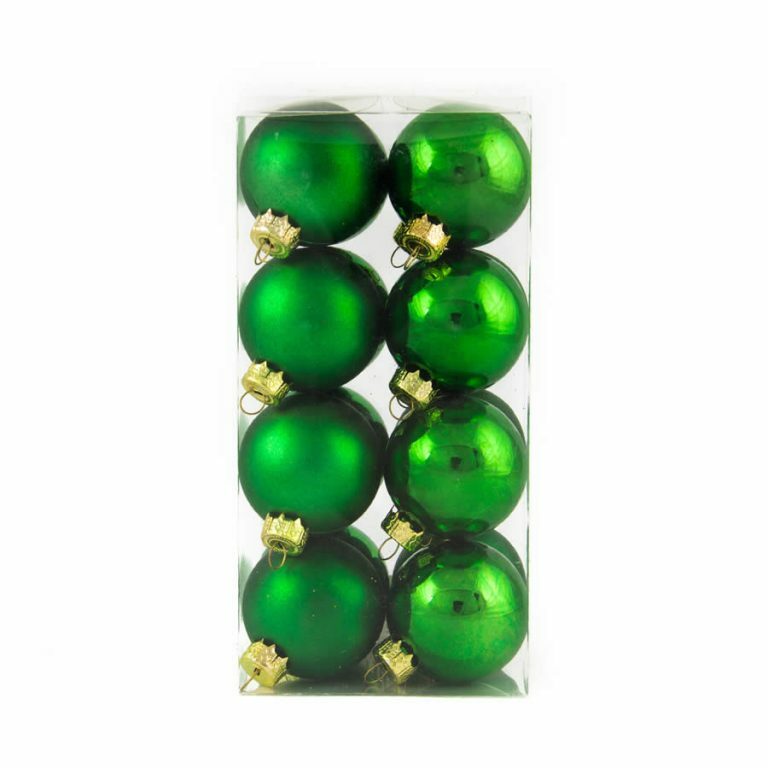 These would be a stunning component of a simple centrepiece, too; simply pile these Christmas Decorations on a bed of boughs or greenery, arrange on a platter or tray, and accent with the vibrant colour of magenta. The look is elegant and contemporary, and there is little effort or cost involved! 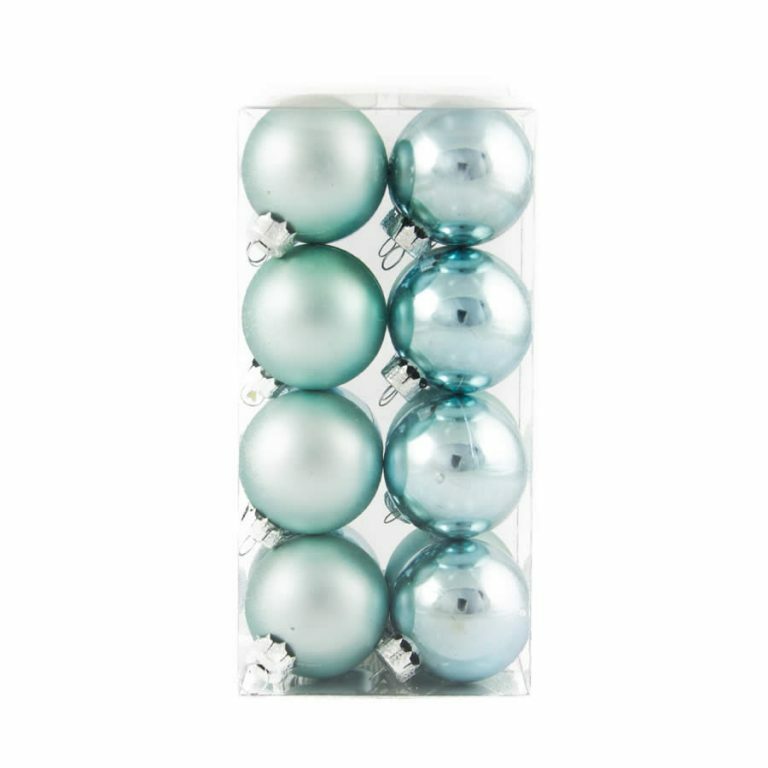 These are a great colour that pairs well with green, gold, and silver- or create your own intriguing colour palette using these stunning ornaments with your existing decorations.